These days, remote controlled unmanned aircraft, known as “drones,” are appearing in the headlines on a regular basis. 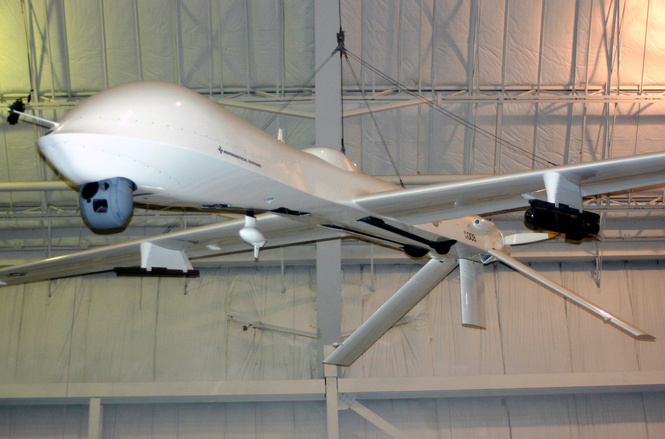 In some cases, we are talking about large military drones, such as the infamous Predator, and how they are used for surveillance and military strikes in the Middle East. These are very large drones with wingspans of nearly 50 feet, and each one costs over $4 million. They can fly virtually silently and launch Hellfire missiles with extreme precision. However, these are not the same kind of drones making headlines and stirring up controversy in the United States. In this case, we are talking about the small battery operated helicopters with four rotors that you get at BestBuy for around $1,500. The United States Federal Aviation Administration (FAA) does not regulate these drones because they do not carry passengers and are not used for commercial purposes. If they were to be used for commercial purposes, the FAA would have oversight, and the agency currently prohibits their use. We have even seen cases were reporters were trying to use them for news footage since they normally contain cameras, but this was deemed commercial use and prohibited. Amazon also tried to use them to deliver packages, but this is not yet allowed, though there may be some changes in the future. Essentially, a private citizen can own a drone and use it for any purpose they want, so long as it is not being used to invade someone’s privacy. There aren’t really any local or state laws, because as the FAA has exclusive jurisdiction over aircraft. With this in mind, we have had several incidents involving personal drones causing trouble in recent months. There was a recent a high profile case where a man shot one out of the sky because it was filming his daughter sunbathing. According to a recent report from ABC, a drone crashed in Pasadena and injured an 11-month-old girl in the process. The mother was walking with her child in the stroller when the drone crashed violently next to the stroller. Luckily it did not crash directly into the stroller, but it did shatter when it hit the sidewalk, and pieces of plastic and metal flew everywhere. Authorities say shrapnel from the drone hit the girl’s face and body and the mother’s legs. The baby had a large bruise on her face and deep cut on her head as well. She was treated at a local hospital. The mother was not injured. The owner of the drone, a 24-year-old man, waited at the scene for police to arrive and admitted he was flying the drone over a nearby event when he lost control. The FAA is investigating and has not said whether it will take action. There were no local or state laws pertaining to flying drones. It should be noted, there has been no finding he was negligent in connection with this accident. As our Boston personal injury attorneys can explain, it does not matter if someone broke the law when causing a personal injury, because a tort is a civil claim and not a criminal charge. Something can be negligent and actionable in a court of law, but not illegal. This happens all the time. It is not illegal to crash a car, as long as the driver is sober and not doing it on purpose, but you can still take the driver to court and sue for personal injury damages.